Result: Author, Irene Prantalos was recently featured on ABC Radio National to promote her book, which is now selling in bookstores Australia wide and has gained international interest. 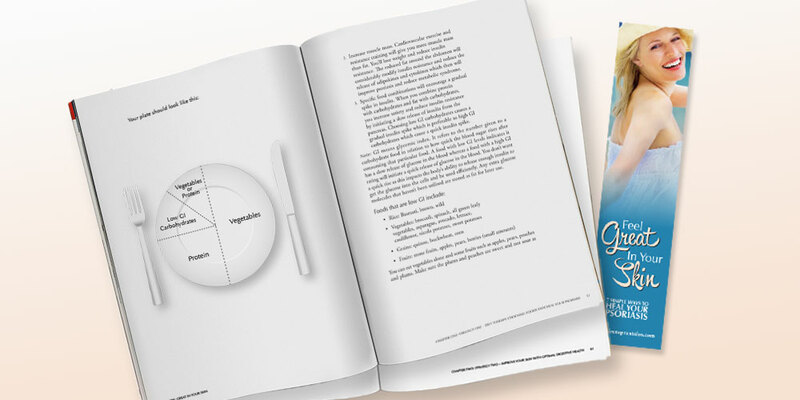 The book’s relaxed and casual design makes it accessible to the everyday reader. 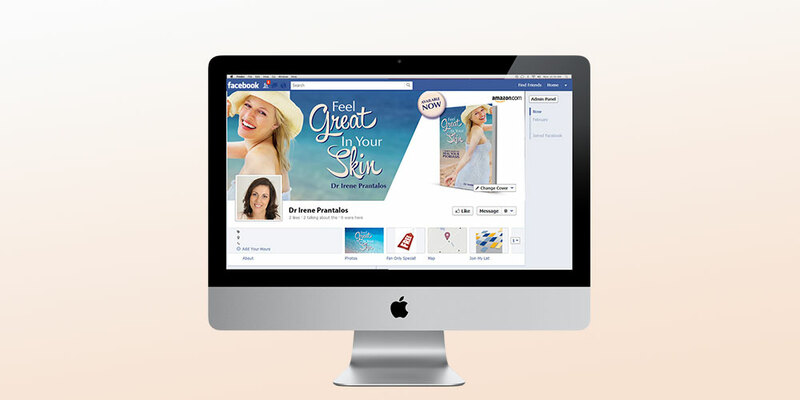 Irene is now running a program for sufferers of psoriasis and is about to launch some new products. 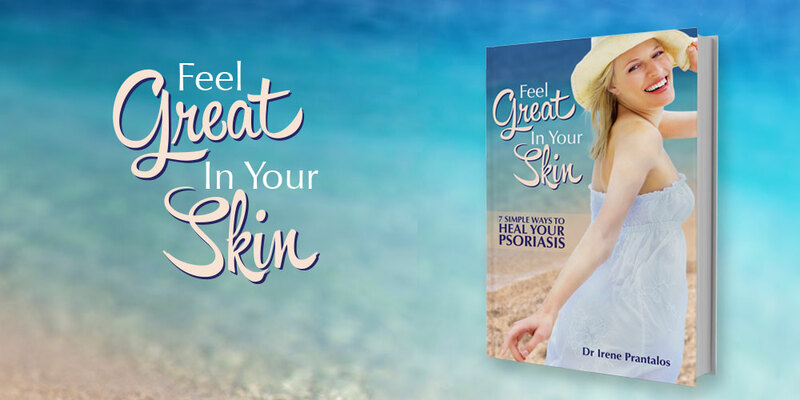 Challenge: Irene had written a valuable resource for sufferers of psoriasis. The design needed to reflect the freedom and optimism Irene felt when she successfully treated her condition after years of trying. 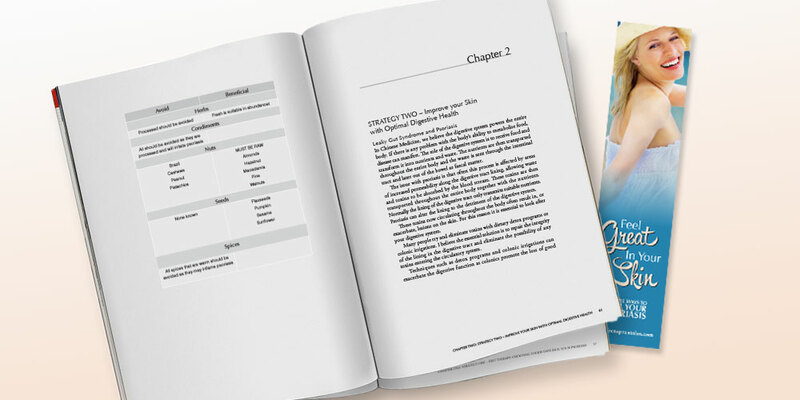 The overall design had to be clean and simple and enable readers to read the book cover to cover or skim through to locate a particular section. Traditionally books on psoriasis used medical photography of the condition which would often repel rather than compel a potential reader. This book had to be open to the everyday reader. The content can be quite heavy and upsetting. Therefore the design needed to be uplifting, approachable and casual in style. Scope: A suitable book jacket design, internal page layout, illustration, CD jacket design, bookmark design, Facebook banner design, and daily journal design.